This post is sponsored by Mod Podge and Plaid. I'll be honest: my office desk is a mess. Ever since I broke my leg, we've had to shift my computer/office equipment around and everything is just out of order. Papers are all over the place, stacks of unfinished projects, and I can never find a pen when I need it (and more than enough when I don't). I've had enough! So thanks to a little Mod Podge and some creativity, I think I've gotten off to a good start. In my efforts to try and get things organized, I decided to start by making a pen holder that is both functional and something I'd love to look at every day. A pen holder might seem like such a small thing, but when it comes to organization, every little bit counts. Having a designated place for everything will help you stay organized in the future. 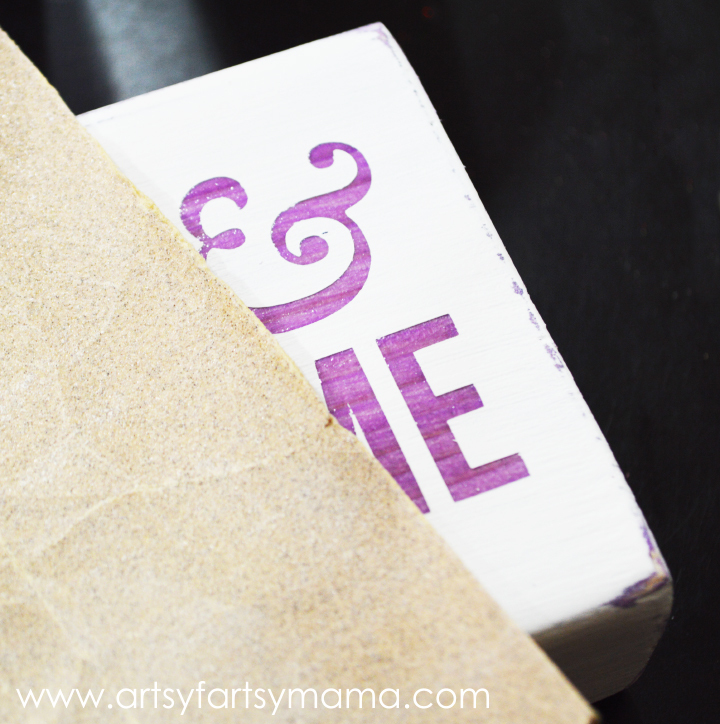 I love Mod Podge and am so impressed with the Mod Podge Sheer line. It comes in a variety of colors, and can be used to tint glass, wood, and even tin!! 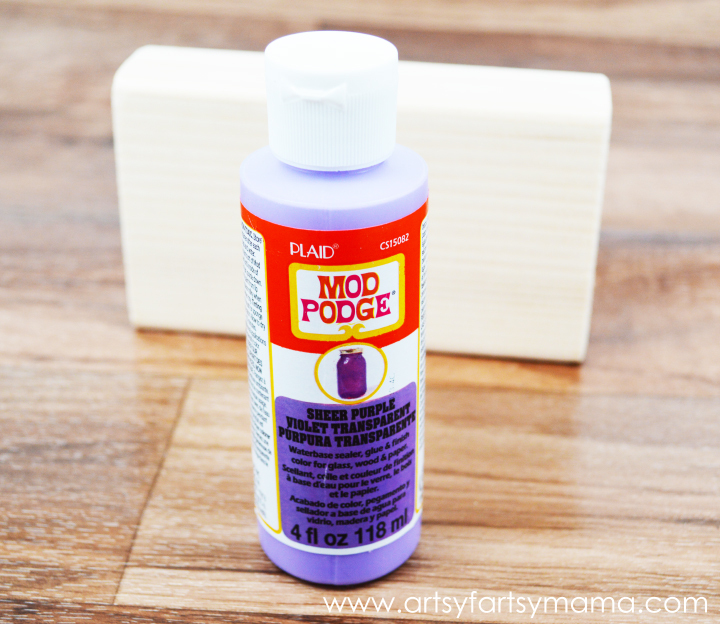 You can find the Mod Podge Sheer at both Michaels and on the Plaid website. 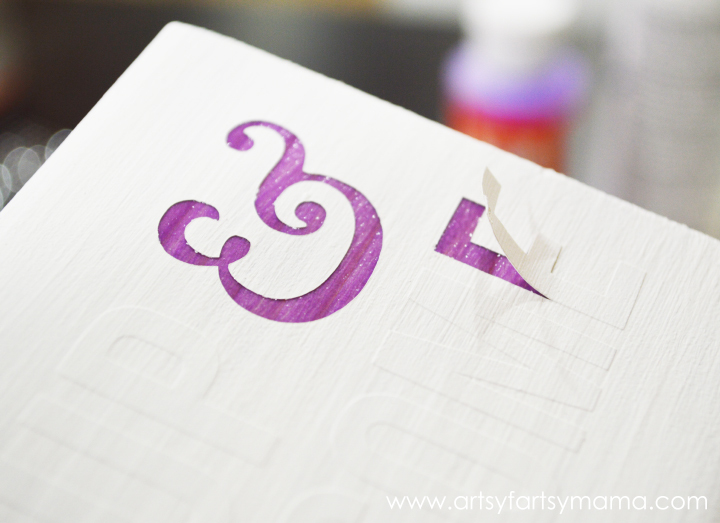 I decided to try the Mod Podge Sheer on wood to see how it worked. With every layer, the color gets a little brighter, but I love how the wood grain still shows through. It's glossy, but not tacky at all. I ended up painting on three layers of Sheer purple. Let dry 15-20 minutes between coats. 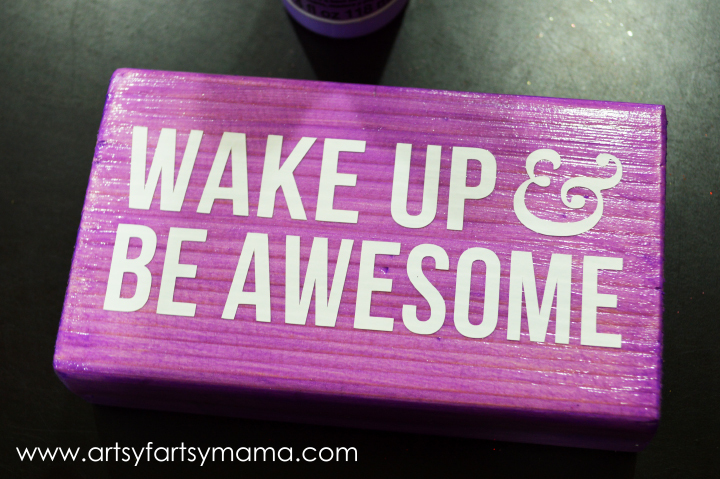 I let the block dry overnight, then cut out the phrase "Wake Up & Be Awesome" in white vinyl. I decided on this phrase because I usually try to start working in the morning, and I can use all the motivation I can get some days. I marked the centers of the block and applied the vinyl. Make sure you press all the edges of the letters really well. You could leave the block as-is (I almost did), but I think the next few steps take it to the next level. Next, I used a Mod Podge Spouncer and the lid of some white acrylic paint (it fits perfectly) and carefully added paint over the vinyl. Try not to add the paint on too heavily, or it could bleed through. These little spouncers are so easy to use and fit perfectly in your hand. I like using these A LOT more than the other kind that just have a straight wooden handle. 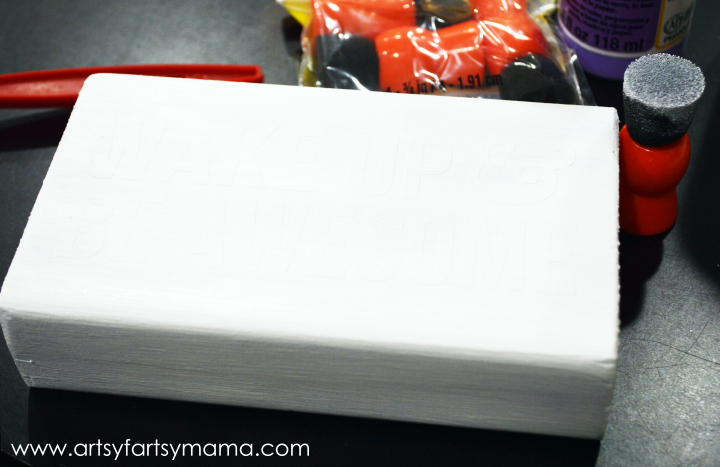 Once you have a layer of paint over the vinyl, use a regular sponge brush and paint the rest of the block with white acrylic paint. I painted about three layers to completely cover the block. Let dry completely between coats. Carefully pull up the vinyl with your fingernail, vinyl hook tool, or Xacto knife blade. If any paint leaked through, gently scrape it off with an Xacto knife. It will be a mess if you peel up the vinyl when the paint is still wet, so be sure to wait as long as possible. Sand all the edges of the block until some of the purple shows through. There's a few spots where I sanded too much and the wood is showing, but I love it!! Some of the dust stuck to the Mod Podge, but wiped away just fine with a lightly dampened cloth. If you don't want to turn it into a pen holder, this would also make a great paperweight! Decide how many pens you'd like to be able to store in the block. Mark out where you need to drill the holes for the pens and draw an "x" with a pencil. With a 3/8-1/2" drill bit, carefully drill a hole over each mark. 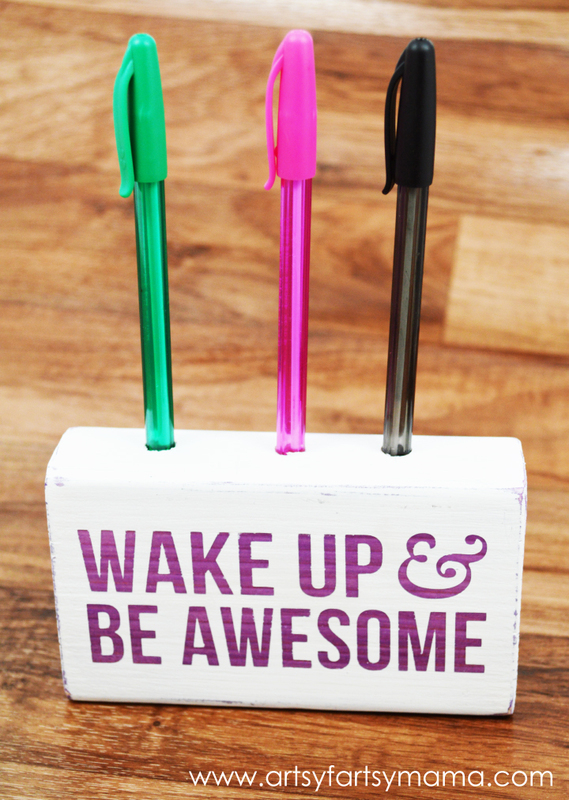 Add your pens to the holes and place on your desk for some motivational organization!! Sign up for Plaid’s weekly newsletter or follow Plaid on Pinterest for tutorials, inspiration, and more Mod Podge ideas! Love it!!! That looks so great! This is so fun! I love that purple color and it pops really well with the white!!! Um, how could anyone not LOVE this! Super easy and a great way to brighten up your desk. Thanks for sharing your genius. What a fun project! I have those same exact pens. I might need one of these by my computer. I'm always searching for a pen and this would be a perfect way to keep track of them! Super cute! And easy enough for someone like me to make it! It turned out really great! I need something fun like this for my desk! I LOVE this. The purple is perfect! How neat! Great idea for a teacher! I love this, Lindsay! 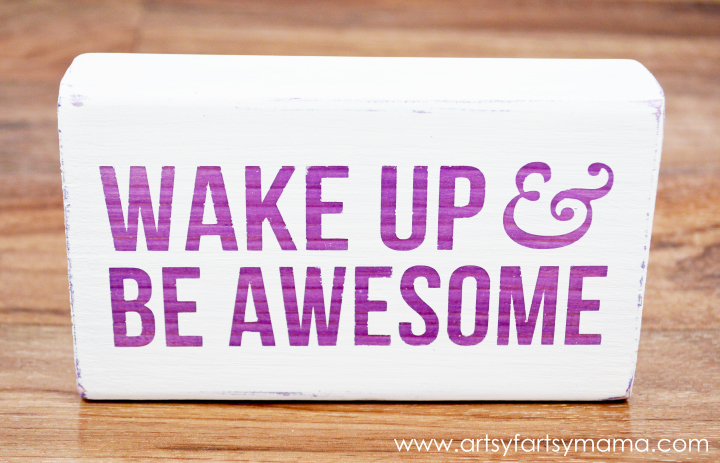 I need a "wake up and be awesome" sign in my office! LOVE this- I actually had no idea they had sheer colors now- can't wait to try! This is just too cute! I've been looking for a cute yet motivating saying to put by my bed lately to give my brain a kick out of bed, and I think this is going to be it. LOVE IT! This turned out really cute and I love the motivational words. SO CUTE!! 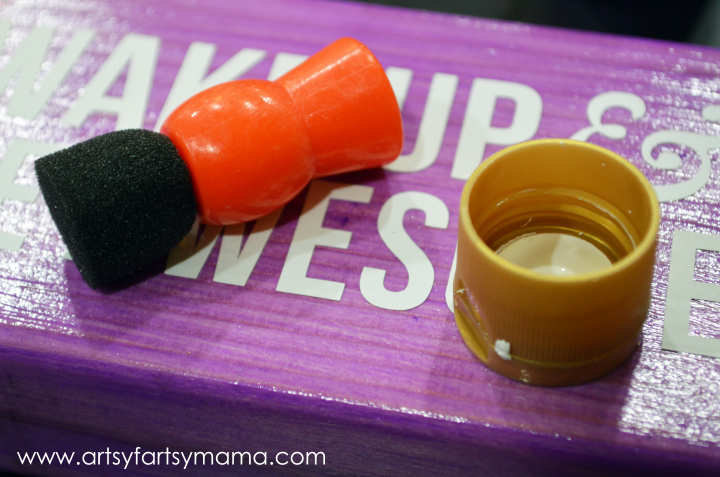 I love that it is so simple and multi-functional! Love the purple. Fun and simple. Perfect. Hmmm interesting pen holders, I would like to include one of these in our CBD Office Rental in Singapore I think placing this kind of thing will invite fun and positive vibes to our renters. Thanks for sharing this post Lindsay!